“Project Spectra!” is a NASA Approved Product and has been developed with NASA funding. We have used the materials located on this page to offer teacher professional development workshops, however we do not have any workshops scheduled at this time; please contact us at epomail@lasp.colorado.edu for more information. “Project Spectra!” is a science and engineering program for 6th – 12th grade students, focusing on how light is used to explore the Solar System. “Project Spectra!” emphasizes hands-on activities, like building a spectrograph, as well as the use of real data to solve scientific questions. Here, you will find lessons for middle school students that can also be easily adapted for high school students or modified for elementary school students. Each lesson has a front page listing national standards in science and mathematics, prior knowledge students need for the lesson, materials, and time to complete the lesson. We have also provided tables listing national standards the lessons conform to, and a scope and sequence. We have included fun and informational links to explore the nature of light and spectroscopy further. What is a Data Story? A data story is an inquiry driven, standards-based lesson using real data from actual spacecraft! Each data story is a cogent, well-bounded story of solar system exploration that is accessible to students. 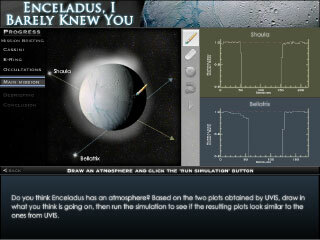 This interactive accompanies the Enceladus, I Barely Knew You lesson. 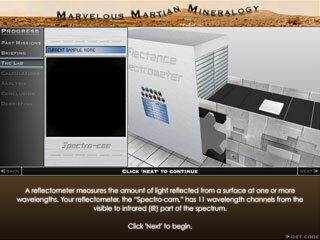 This interactive accompanies the Marvelous Martian Mineralogy lesson. 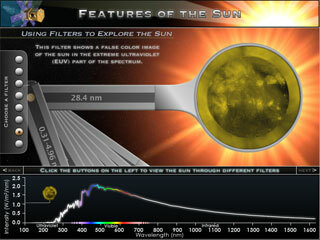 Explore the sun with the Features of the Sun interactive. 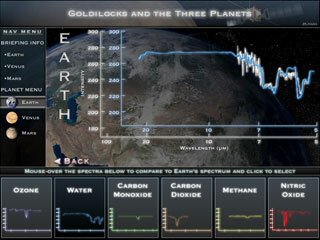 This interactive accompanies the Goldilocks and the Three Planets lesson. 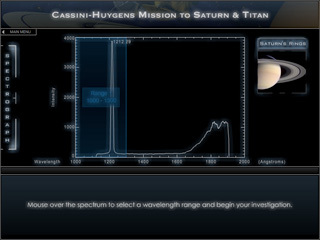 This interactive accompanies the Explore Saturn and Titan with Spectral Data lesson. 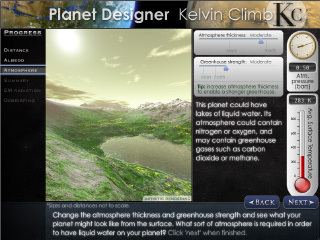 Explore planetary surface temperature with the Planet Designer Kelvin Climb interactive (for high schoolers). 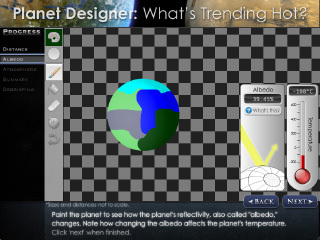 Explore planetary surface temperature with the Planet Designer: What’s Trending Hot? interactive (for middle schoolers). 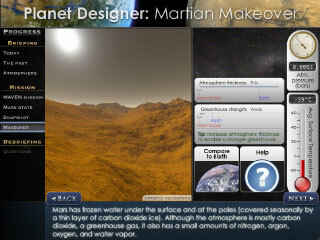 Can you modify Mars to support liquid water? 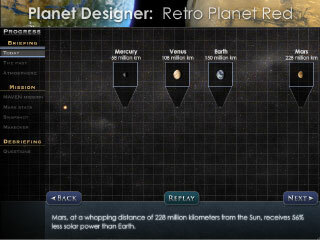 Find out with the Planet Designer: Retro Planet Red interactive (for high schoolers). Presentations from past years’ teacher’s workshops.